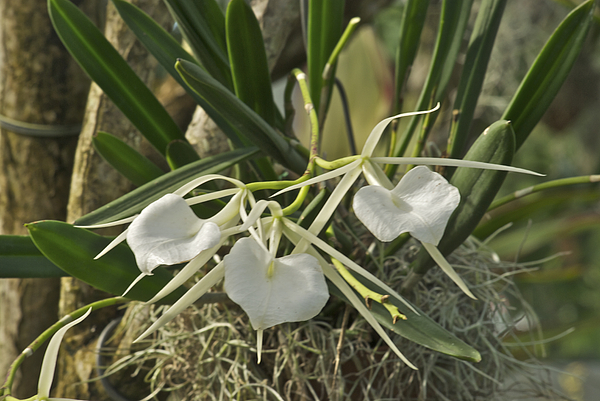 A cluster of white orchids in the orchid house at the Foster Botanical Garden. The gardens are located right in Honolulu, Hawaii. They are well worth a trip if you are ever in the area. 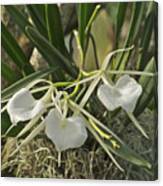 They have a beautiful collection of orchids.